Imagine a situation where you need to make an urgent call and you do not have enough balance. Do not worry now you can borrow Mobile balance from your friends. This system was launched by Airtel mobile operator for their customers. Here I will tell you how to transfer balance from Airtel to Airtel. It’s a very easy and simple process. You can easily transfer the balance to someone by using a short USSD code *141#. Note that there is a service charge for this process. Airtel takes little amount of money💵 to transfer your balance. What you have to do is simple applying USSD code and just enter the amount how much you want to transfer. 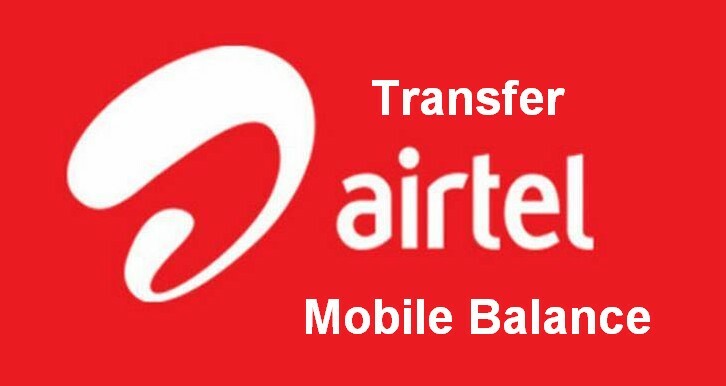 Just follow step by step process to know how to transfer mobile balance to Airtel. There are two conditions that you should follow while transferring the talk time to someone. The first one is it’s only possible when both the sender and receiver are using same mobile operator and the second thing is before transferring your balance you must know the USSD code for balance transfer. Then only you can successfully transfer your balance to someone. Here you will get USSD code and Process for transferring Balance. Just take a look here. Airtel to Airtel Balance Transfer USSD code to transfer talktime is *141#. Now you need to select “ Answer” button and press the “1” button to “Share talk time “ option then click on the “ send “ button. Now you will have to enter the amount that you wish to transfer your friend or someone. The starting balance should be 5 rupees up to 40 rupees you can share with your friends. And the minimum services charge will be 10 rupees. Even there is a limit for the day. Per day you can share only five times and per month 150. Then you will get details of how much balance do you what to transfer for including service tax also. Just enter the amount details. Next, you will need to enter your friend mobile number. Then enter the “send “button. Now you will get a message with full transactions details. It’s also including the amount of money you transferred to your friend and the amount service tax you were charged for. Your friend will get a message which will show like, the amount you have gifted. I hope you have transfer Airtel balance successfully. It’s a very simple and easy to transfer balance. Now I do not think you may get any problem while doing this process. Before entering the mobile number just once check the number because Airtel operator is not responsible for the loss of balance in case of entering a wrong mobile number. Now share Airtel talk time or transfer a mobile balance from Airtel. Sorry, i don’t have info about Airtel 4G balance transfer but will notify you soon.